This past weekend while unpacking everything for the kitchen in the new house, I got wildly excited about cooking and baking again. And on Sunday, I just got side tracked (don’t tell Ryan!) from house stuff and just started digging in. I made tons of chia puddings, protein balls, and a Vinaigrette that’s to die for (I’ll share the recipe soon). I also started thinking about organizing the kitchen. While doing it all I wondered……would it be helpful for you for me to share more of this? The ingredients and foods we keep, how we organize, what we make, etc? You know the drill. Let me know if you like that idea. For today, let’s chat low-FODMAP baking and some cookie recipes. Now listen, full transparency, I do not need to eat low-FODMAP cookies currently. I said “Adios” to SIBO, so I haven’t been focused on making sure I’m only eating low-FODMAP. Paleo Chocolate Drop Cookies. I think this recipe could easily be turned into a low-FODMAP one. Basic Chocolate Chip Cookies. This recipe can easily be low-FODMAP. Swaps: 1-to-1 gluten-free flour for the all-purpose flour, verify the chocolate chips, and maple syrup for honey. Simple. And they are super good. Molasses Cookies. Molasses is not low-FODMAP and if you remove that from the recipe, well, then you might as well not even make them. 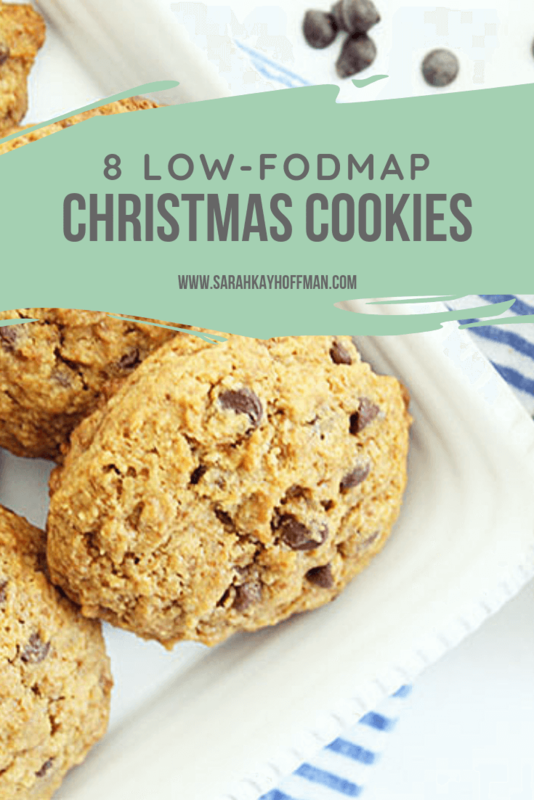 That said, so many of you reading this need a low-FODMAP cookie recipe for the holiday season, so I’ve got you covered with these 8 Low-FODMAP Christmas Cookies. 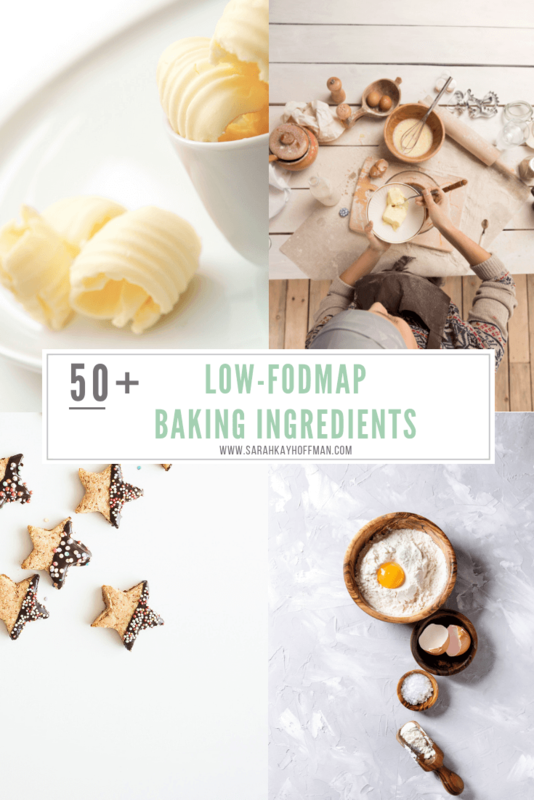 But first, I put together a list of 50+ low-FODMAP baking ingredients you might want to have on hand for the holiday season. 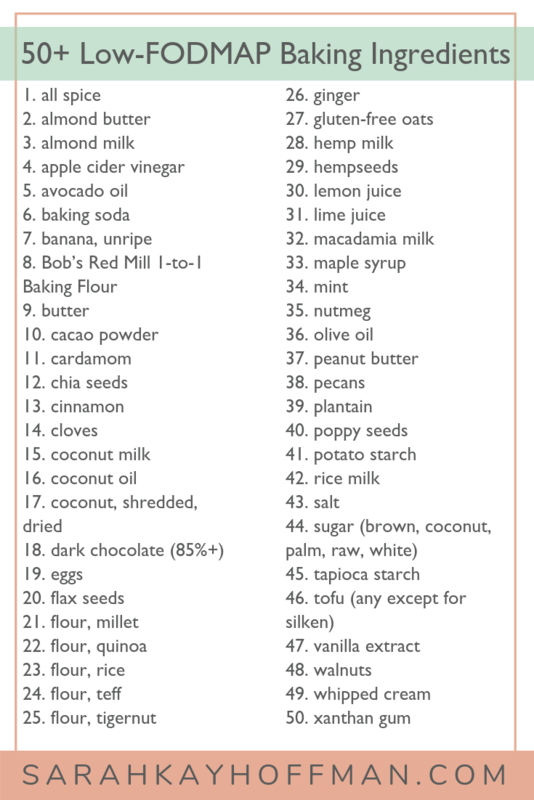 Note: This is not an exhaustive low-FODMAP baking list, but instead it’s many of the common low-FODMAP ingredients I use when baking low-FODMAP. 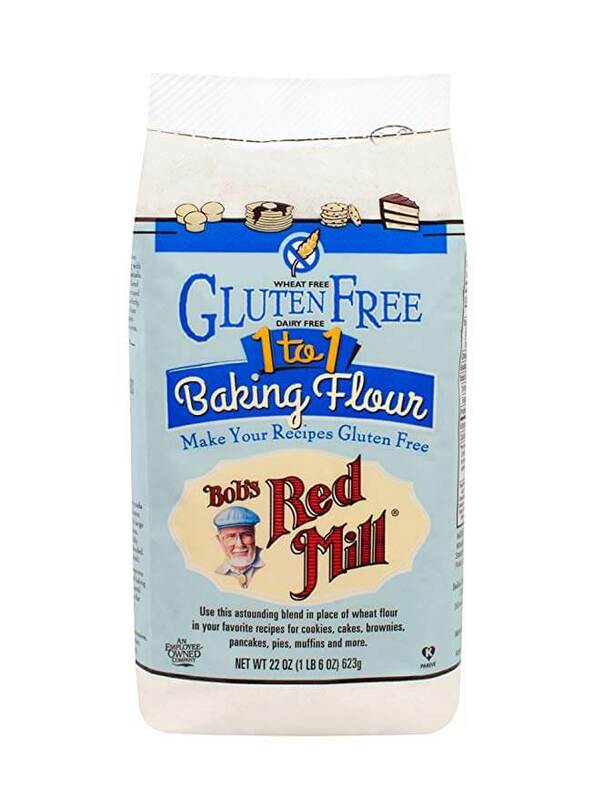 Bob’s Red Mill 1-to-1 Baking Flour. I use this all the time, and it worked perfectly in THESE pancakes. psssst…..You can easily save this list via the graphic below and take it with you to the grocery store the next time you go by clicking HERE. 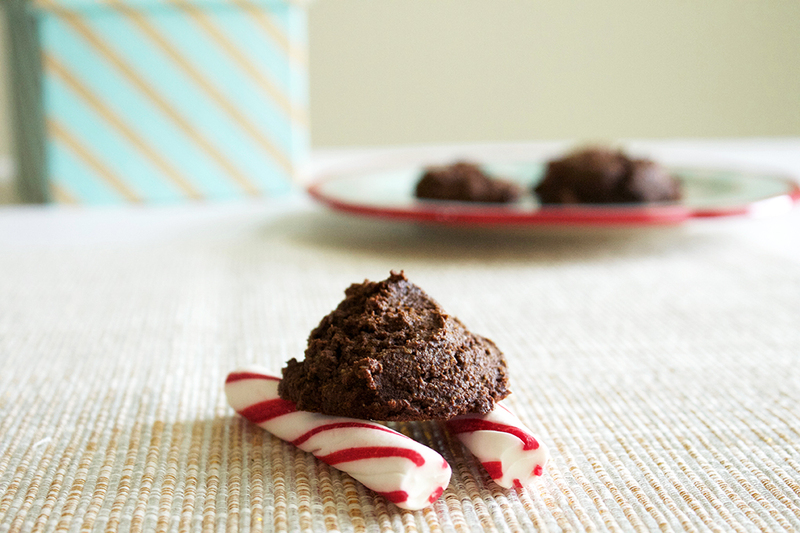 Have a favorite Christmas cookie recipe (low-FODMAP or not)? 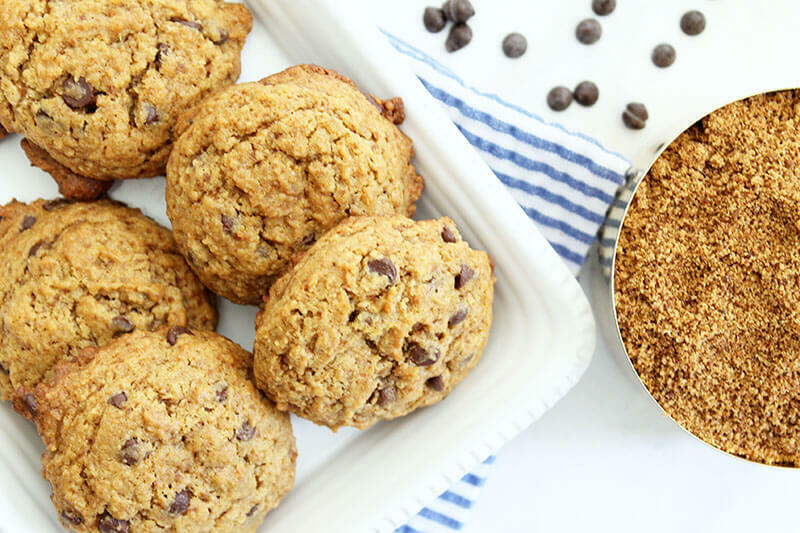 All of this low-FODMAP baking chatter made me really want to create a low-FODMAP cookie for you – also because I’m totally hungry for one now! You know, just for fun, and in all my spare time. Let me know if you have any suggestions of something you’re craving. Thanks for sharing! Do these cookies keep long in a Christmas cookie tin? Hi! I’ve never put them in a cookie tin, but I’d guess that yes, for about a week. They are so good!